British Prime Minister Winston Churchill and President Franklin D. Roosevelt in Casablanca. 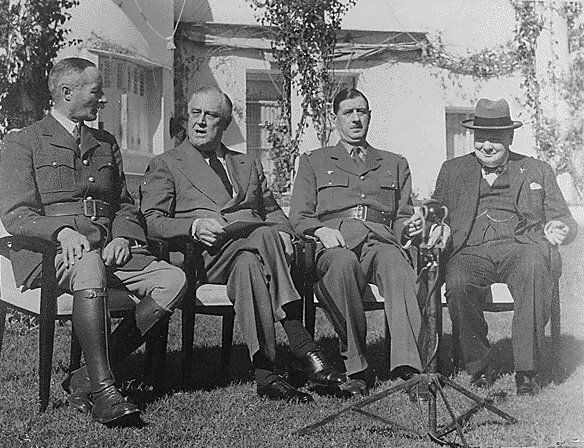 Below: At the conclusion of the conference on January 24, French General Henri Giraud, Franklin D. Roosevelt, General Charles de Gaulle and Winston Churchill. 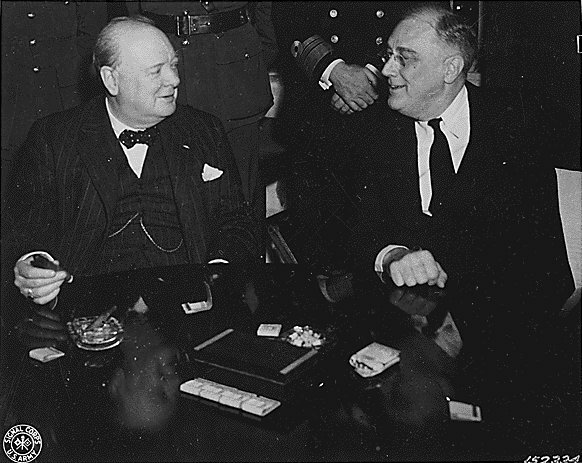 Roosevelt surprisingly announced the Allies were now fighting for the "unconditional surrender" of Germany, Italy and Japan - a stand immediately endorsed by Churchill.